The long awaited telling of the history of the oldest European American settlement west of the Rockies. It provides a chronological look dating back to the 1500s, with over 100 black and white photographs. Includes 3 self-guided tours. "Finally, a comprehensive and easy-to-read history of this unique community--this is the book I was looking for when I moved here 20 years ago! A terrific resource and a 'must have' for every home library." 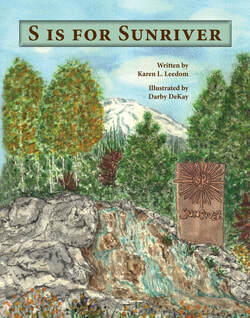 A picture book for all ages, with general and historical facts about Astoria and the Pacific Northwest Coast. "You should be very proud of this book." the area. For all ages. "This book will delight both children and adults." Set in rural Nebraska during the Great Depression, this is a delightful story of a girl who longs for something better in her life. When the circus comes to town, she finds that making her dreams come true will mean hard work and ingenuity. The story is based on an event from Robert Jacob's childhood. Aimed at ages 8 through 12, but for anyone who appreciates elaborate illustrations and historical stories. Cover art by Drea Rose Frost.